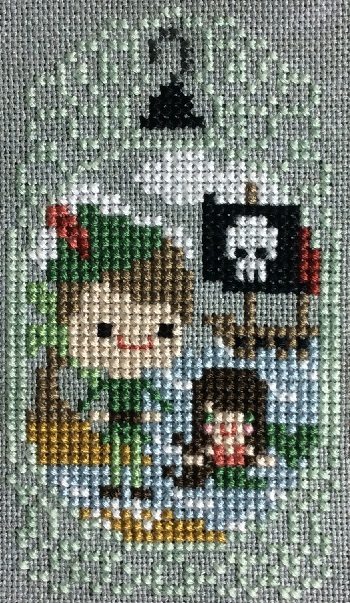 I finished the first instalment of the Frosted Pumpkin Christmas mystery stitch. It really is adorable (Frosted Pumpkin’s speciality) and I love how the overdyed threads turned out (the red used for the door and Santa, and the green used on Santa’s bag). 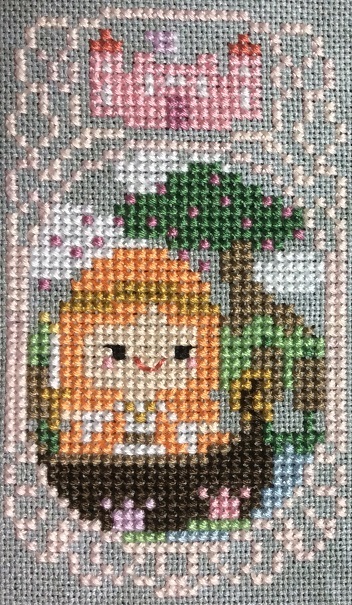 I don’t have a lot of experience using overdyeds so it was a bit of a challenge to remember to stitch one stitch at a time, and to not use the loop method to start my threads, but in the end it was worth it. 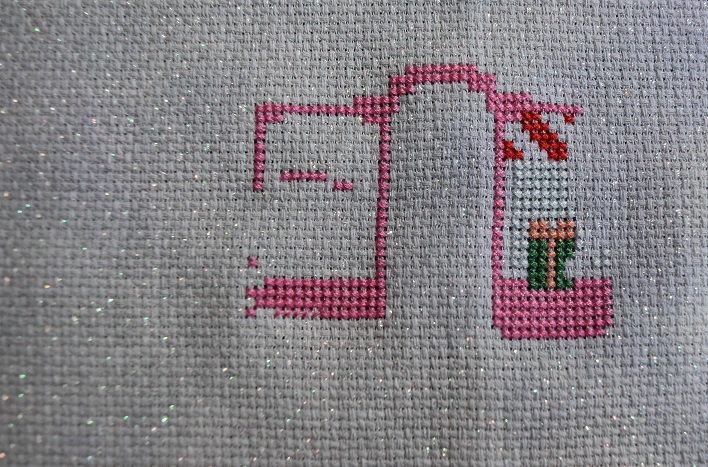 The only thing I don’t like about this stitching so far is the fabric colour. I would have picked a darker colour so the white of the snow would pop a little more. 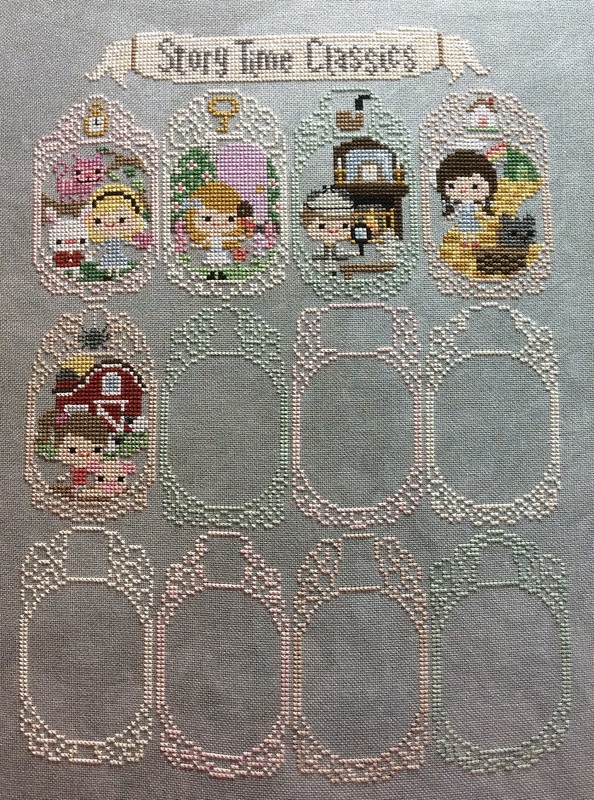 The next part of the pattern (there are four parts in total) arrives on August 26th. I can’t wait! 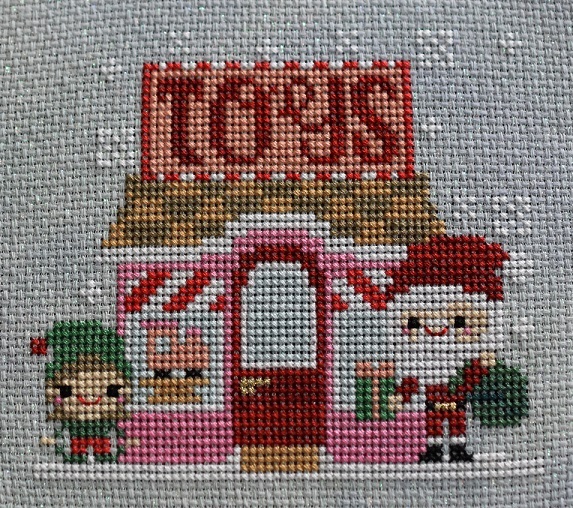 I really didn’t need a new cross stitch project since I already have two on the go, but the Frosted Pumpkin A Very Merry Christmas Town mystery stitch-a-long is simply too adorable to resist. I ordered the aida kit and it arrived in the mail late last week. 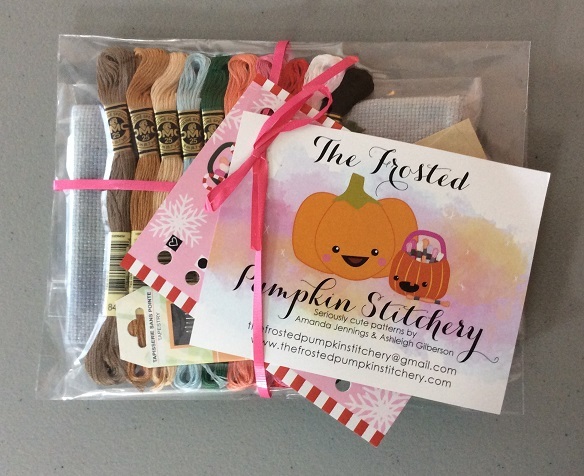 The kit came with 1/8 yard of 14-count hand dyed aida (there’s a 28-count linen version available as well), ten colours of DMC floss, two colours of The Gentle Art floss, metallic gold Kreinik braid, and a six-pack of size 26 tapestry needles. I’m super excited to try the floss from A Gentle Art as it isn’t a brand I’ve used before. The BOHIN needles are new to me as well. Most of mine are John James or DMC since that’s what seems to be available at the stores I shop in. 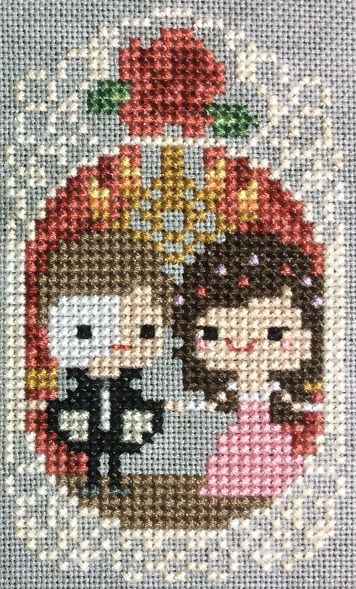 I am, however, already giving the metallic braid the evil eye. 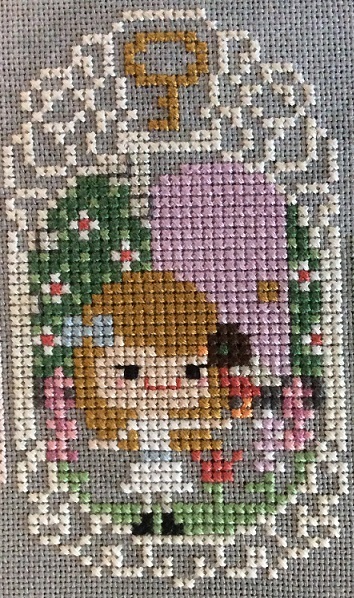 I can’t stand working with the DMC metallics, so we’ll see how the Kreinik compares. 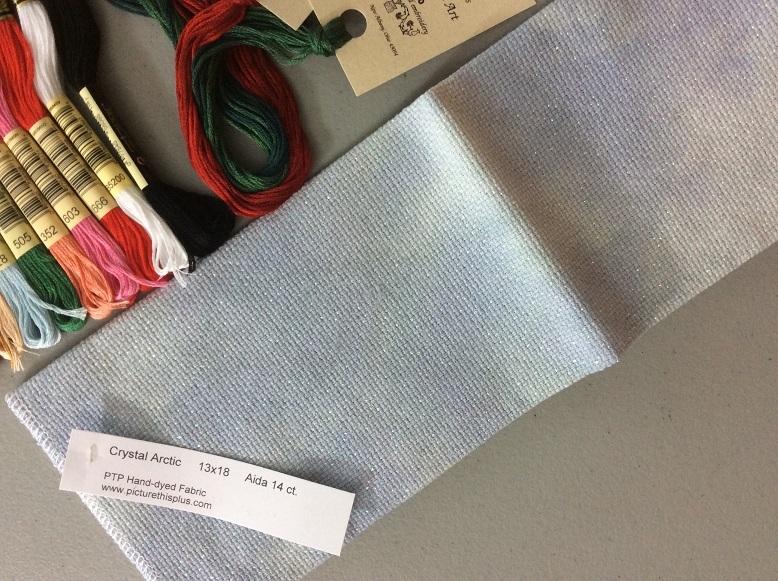 The hand dyed crystal aida from Picture this Plus in Arctic is some of the prettiest fabric I’ve seen. The muted shades of blue and the opalescent thread woven through the fabric really do evoke thoughts of a beautiful winter day. 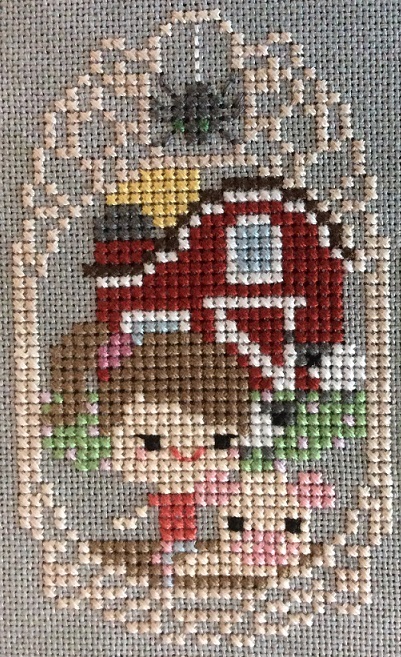 I jumped right into stitching but don’t have much to show yet. 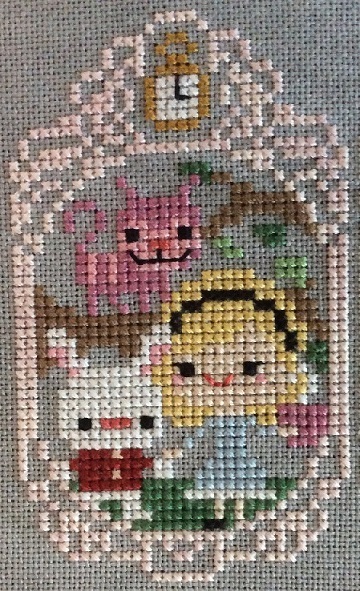 The second instalment of the pattern arrives on Aug. 26, so I better stop typing and start stitching! 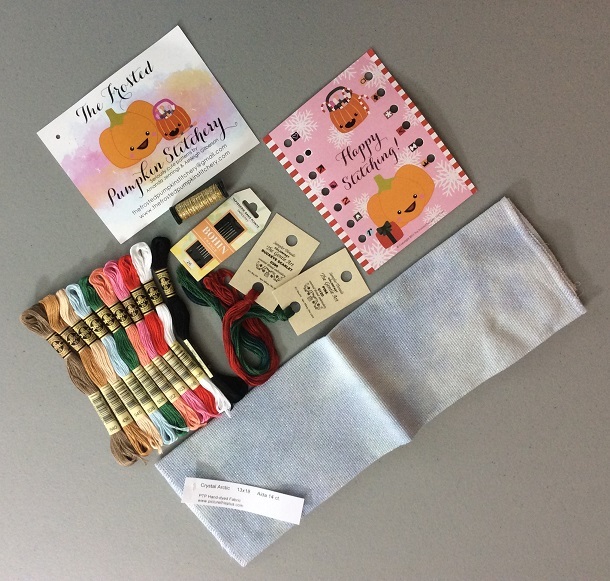 July’s instalment of the Frosted Pumpkin story time stitch-a-long is from the ballad The Lady of Shalott by Alfred, Lord Tennyson. I’ll sheepishly admit that I’d never read it. 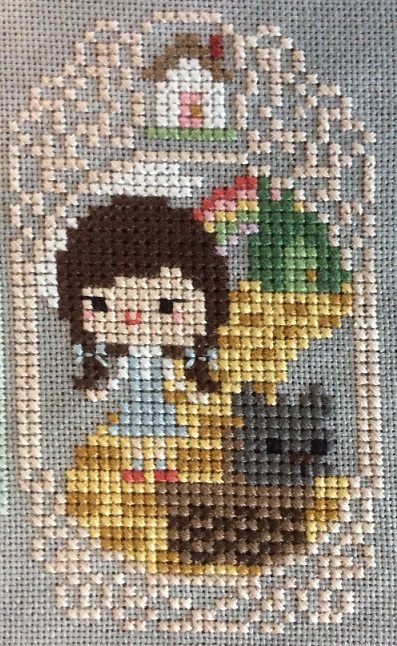 I’m a huge fan of the painting by John William Waterhouse, on which this cross stitch is clearly based, and even got to see the painting at the Tate Britain in London many years ago. But poetry just isn’t my thing. That being said, since it’s the first story in this stitch-a-long that I hadn’t read, I sat down and read it. Three times. Poetry still isn’t my thing. 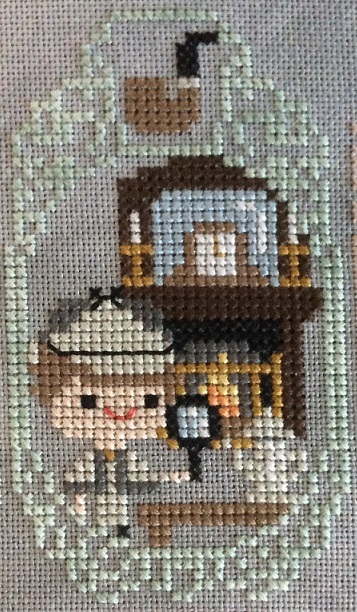 But cross stitch sure is! Isn’t she adorable?